Payroll Processing | Human Resources Inc.
How do payroll garnishments work? Regardless of how many garnishment orders your company receives for one employee, federal law limits the amount withheld in a workweek based on whether the garnishment is for child and/or spousal support, bankruptcy, tax levies, student loans, or debt payment. Typically for debt payment, the amount withheld is either the lesser of 25% of disposable earnings or whatever an employee earns that exceeds 30 times minimum wage. For Child/Spousal support the amount withheld is can be 50% to 60% of disposable income. Student loans can be up to 15% of disposable income. In addition, an ordering sequence is required when an employee has more than one garnishment. These various limits were established under the CCPA (Consumer Credit Protection Act). 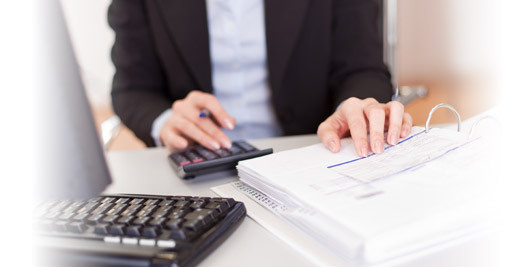 Can payroll management by a PEO help you? A good Professional Employer Organization like Human Resources, Inc. can work with the local court system to ensure that garnishments and liens have been properly adjudicated and ensure that there will not be too much or too little removed from your employee’s paycheck. A direct line of payment can be setup with the same frequency of your payroll between the employee’s deduction and their debt. Additionally, these instances are of a very personal nature and confidentiality is of the utmost importance. A PEO is an outside resource which keeps the chances of critical and potentially damaging information from spreading to other employees non-existent.